1236 W North - Piggott Realty, Inc.
MOVE-IN READY ! 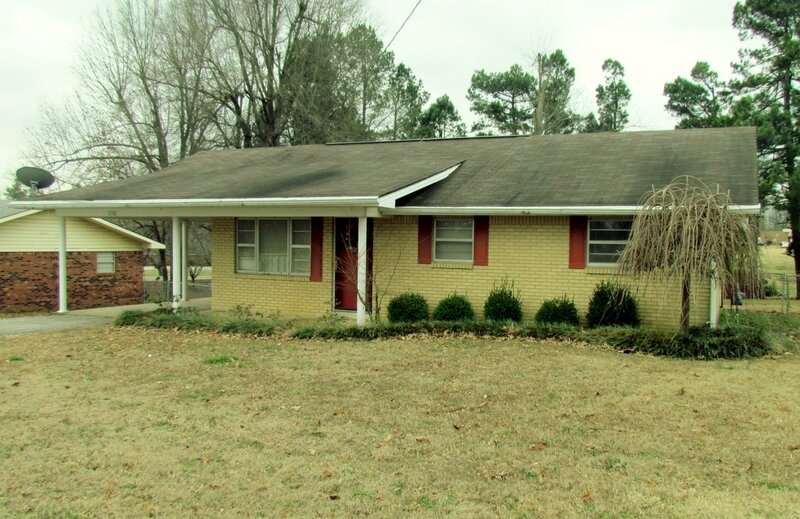 This well maintained, updated 3 Bedroom - 1 and 1/2 bath Brick home is Move-In Ready. It features an open floor plan with an inviting covered front entry to the nice size Living Room, flowing into the spacious eat-in kitchen with ceramic tile flooring, nice white cabinets & custom tile countertops, adjoining the large warm and cozy den with wood burning fireplace and side entrance to the large fenced back yard with walkway to covered space for lawn mower, ATV, boat, etc and added walk-in storage space under the den. There is adequate sp ace for garden and lots of outdoor activity. The Home has single carport with additional parking spaces & paved turn around space . Central Heat & Air plus added gas wall heater. With over 2,000 sq ft under roof this home has approx. 1661 sq. ft of Living Space. Lot size 75' x 200'. Seller is Motivated & has priced to Sell !